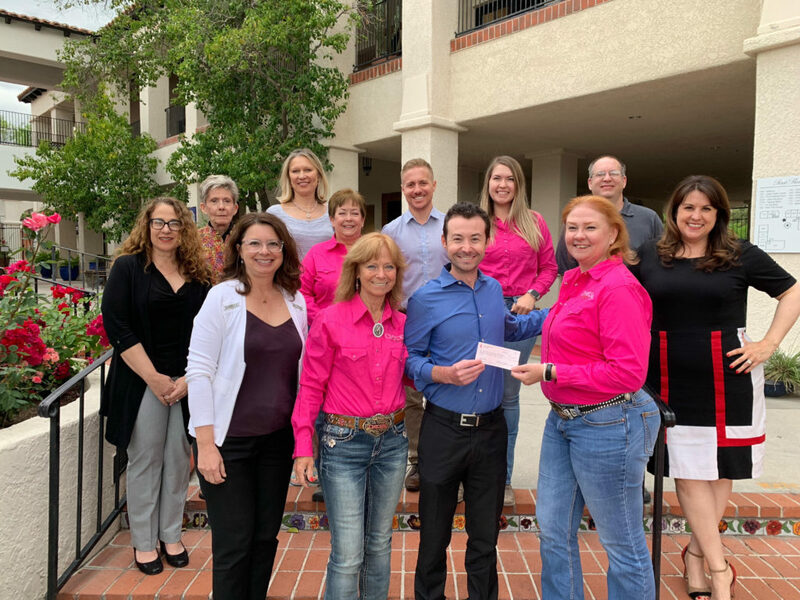 2019 Tucson Chicks n’ Chaps Committee presenting check to Arizona Oncology Foundation Board Members on 4/16/2019. $11,000.00!! Pictured: Mark Baird, Vice Chair, Tucson Rodeo; Kirsten Cooper, Development Director, Chicks n Chaps National; Mary Davis, Chair, Tucson CnC; Becky O’Hara, Development Director, Arizona Oncology Foundation; and Jose Calderon, Chair of the Fiesta de los Vaqueros Tucson Rodeo. Tucson CnC was able to increase its donation to $7,000 in 2017. It’s our 6th year and we’re making it bigger and better! To date, we’ve raised nearly $30,000 for LOCAL breast cancer support, providing treatments, much needed supplies and support to those patients and loved ones in southern Arizona suffering from this awful disease.